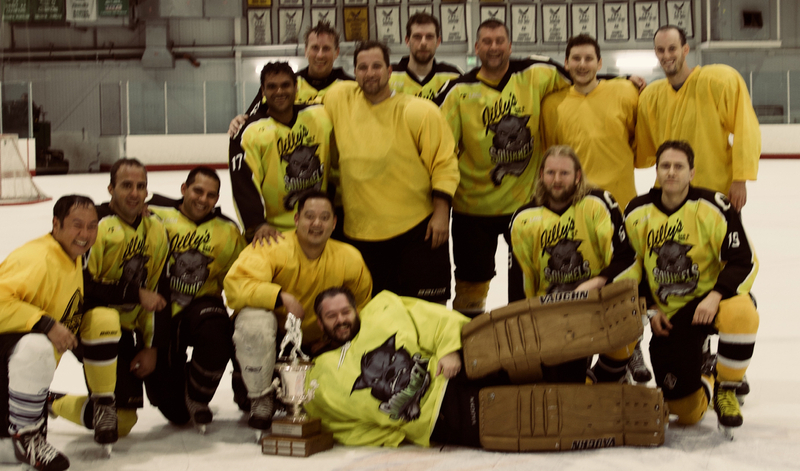 The Squirrels demolished the first place Wolfe Pack on Sunday, pulling away in the third period for a 10-2 win. But the game had been close in the prior two periods. Vivek Pinto scored on his first shift in the first period, while Tero Moberg swatted in Brent Machado’s rebound as the Squirrels went up 2-0. Wolfe Pack scored in the final 13 seconds of the first. Arie Stock then took over, scoring twice in the second, but once again, Wolfe Pack scored in the final minute to cut the Squirrels lead to 4-2. Pinto, Mike Bartok, Machado, Scott Kronzek and Moberg scored within minutes of each other early in the third to give the Squirrels a 7-goal lead and thus, a running clock. Stock added another later, plus three assists. The Squirrels are in second place in their division.